The increase in neoliberal policies on the one hand and the increase of the authoritarian practice of governments on the other, continuously produce social devastation, fear and political demobilization of social movements. The lack of strategies for outreach to different social groups by the social activists in order to forge a broad alliance of social actors which will enact strategies of action towards social justice, freedom and democracy, produce a fragmented space for change. We need to unite the progressive forces in action. As a follow-up of the School for politics and critique 2014 which was focused on increasing the skills and knowledge of activists in Macedonia, the Institute of social sciences and humanities – Skopje is organizing four (three day) workshops with members of various activist and political groups from Macedonia. 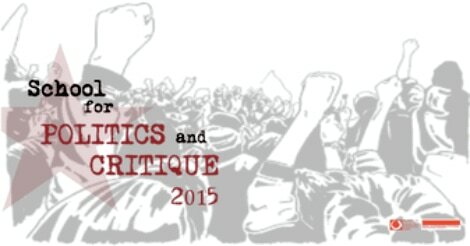 ​ The "School for politics and critique 2015" is organized by the Institute of social sciences and humanities - Skopje with the support of the Rosa Luxemburg Stiftung Southeast Europe.